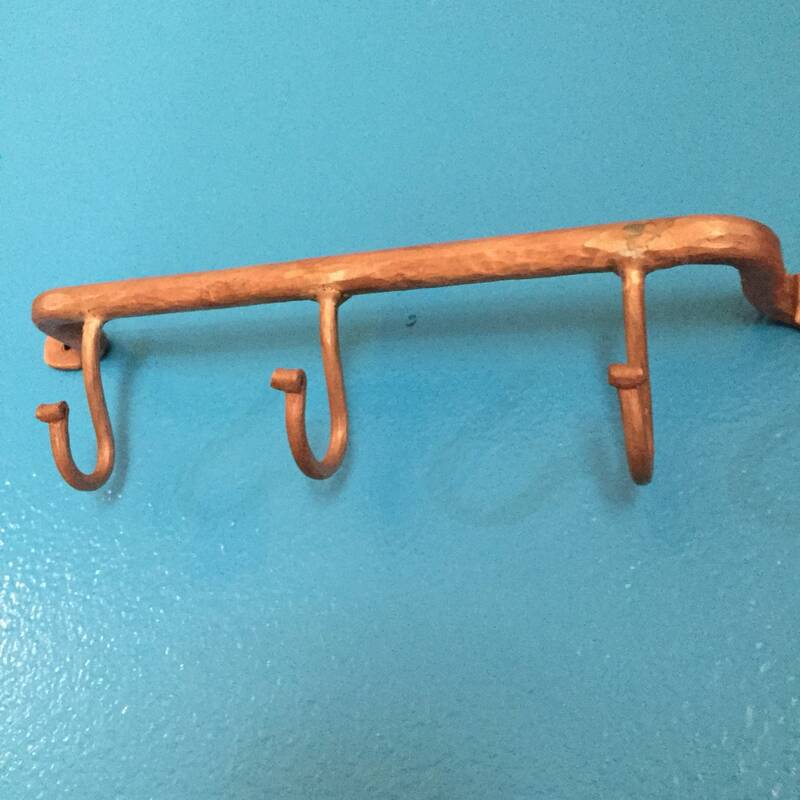 Handcrafted hammered copper coat rack. 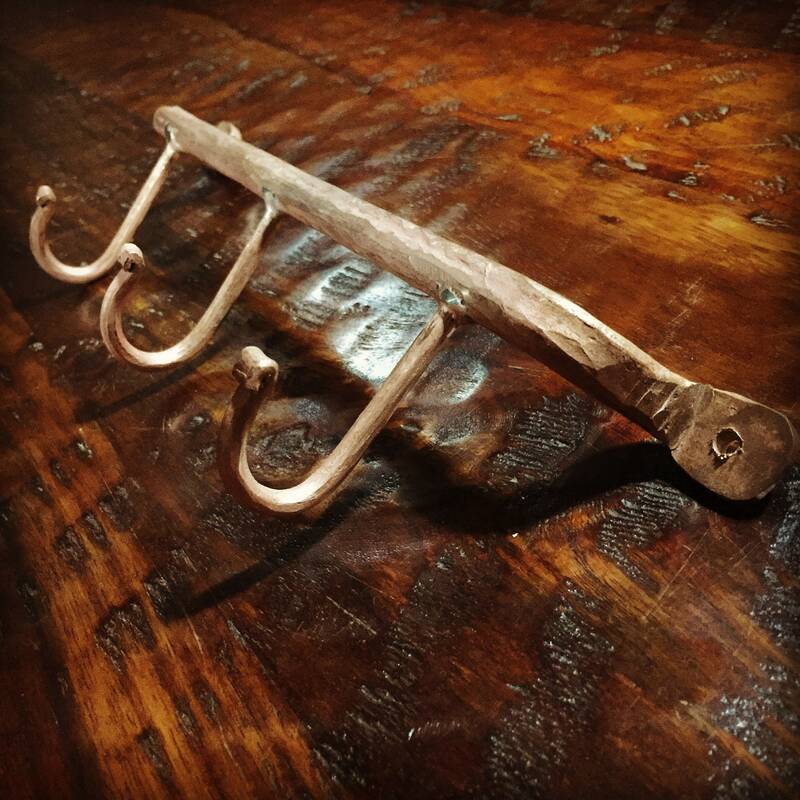 11” wide with three hooks. 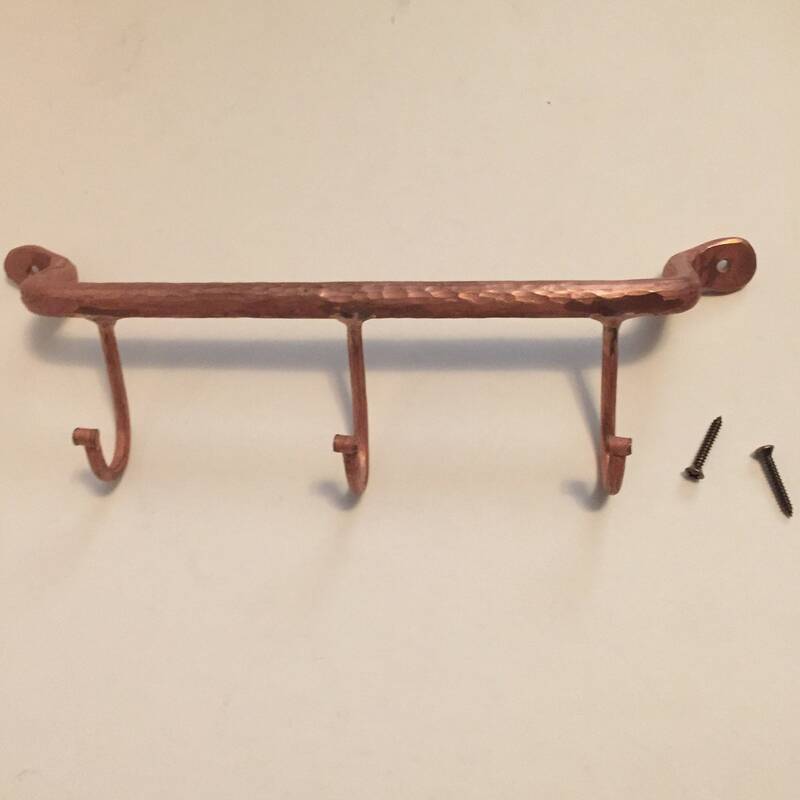 Includes two #6 x 1” mounting screws (use drywall anchors when not mounting to studs). 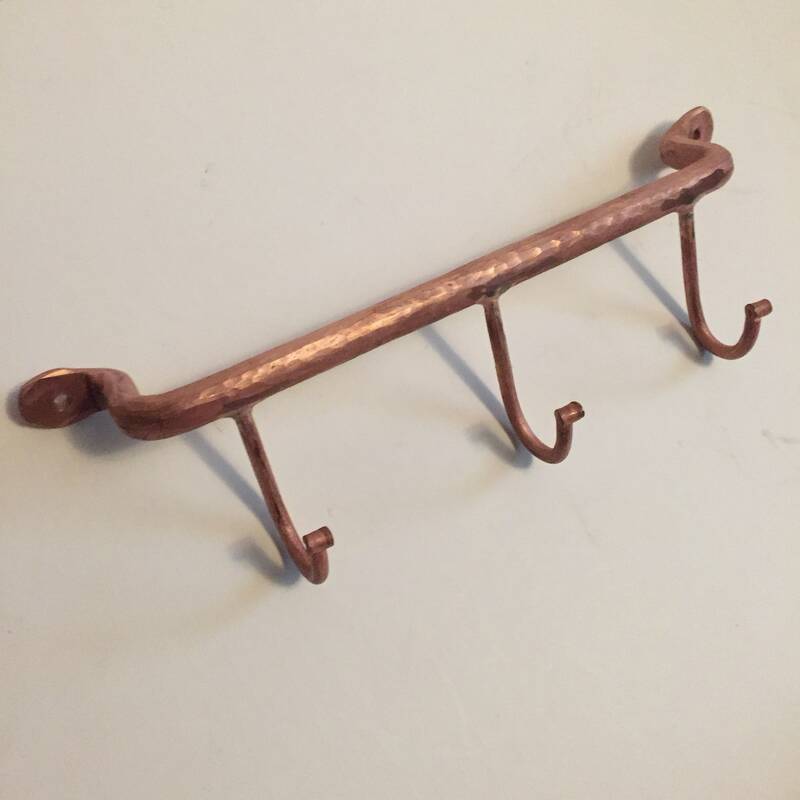 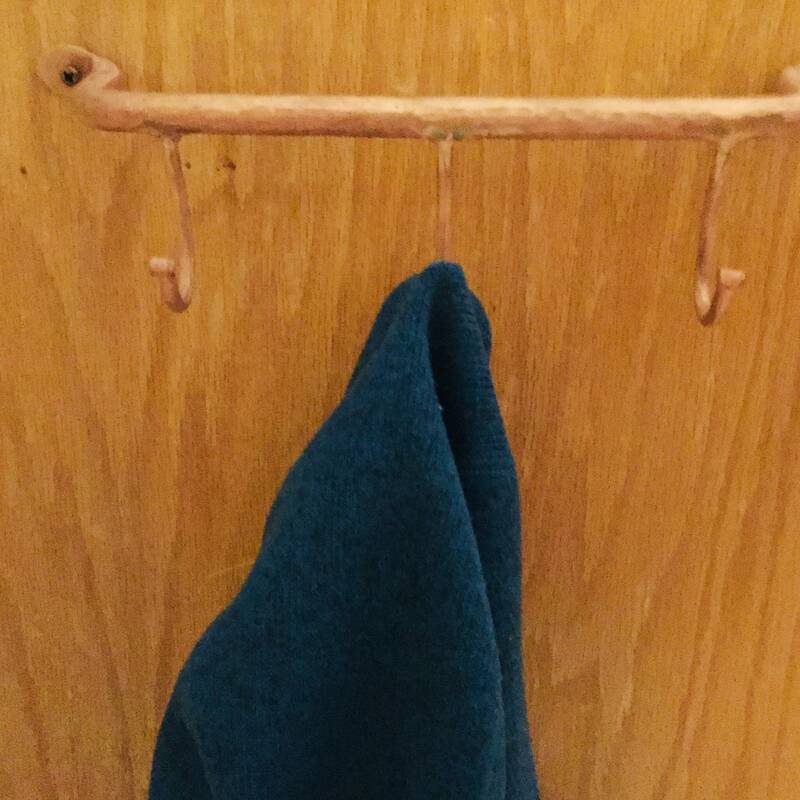 This beautiful pure copper coat holder is handmade and built to last. 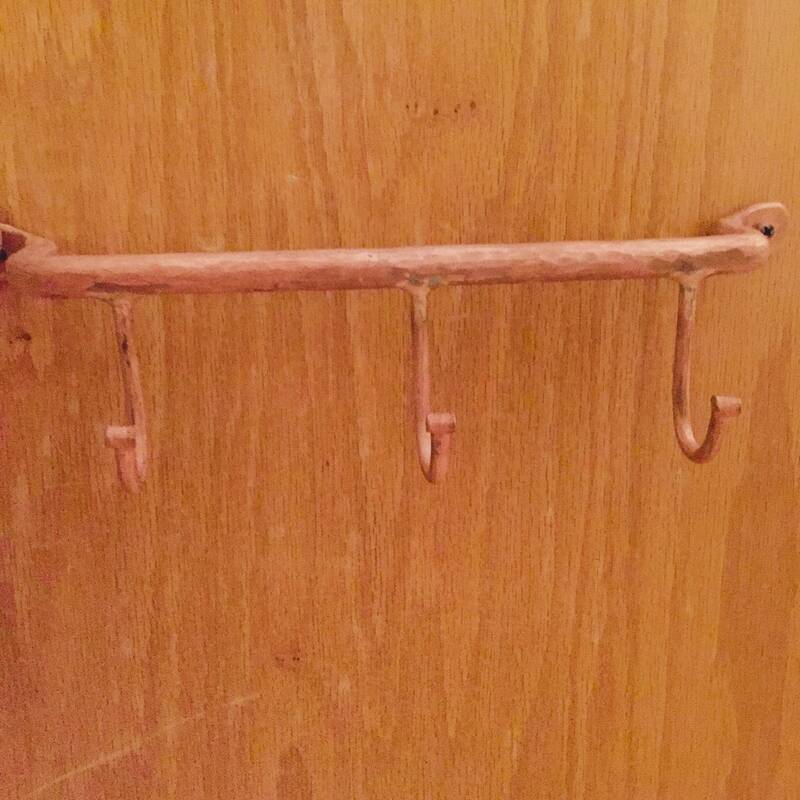 Sturdy feel. 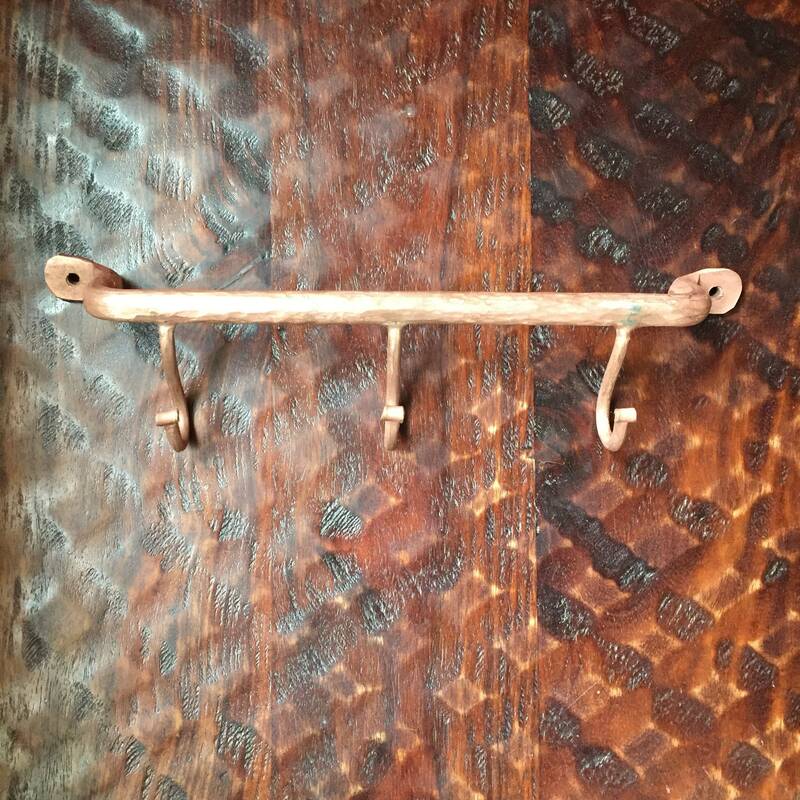 The perfect copper accent for your home. 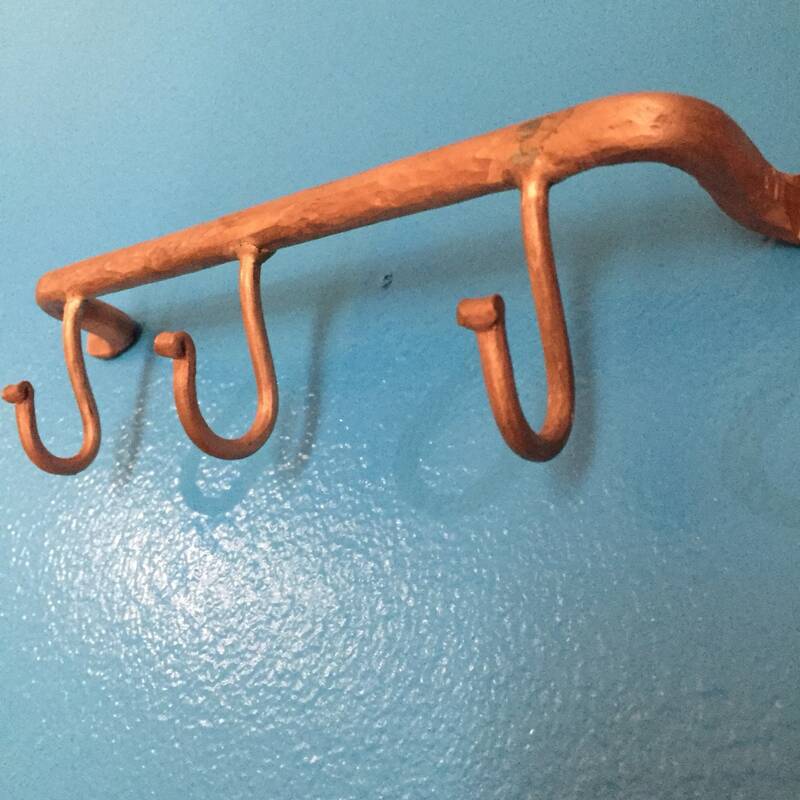 This can also be used for a towel rack in your bathroom.